Happy Wednesday friends! Tell me I'm not the only one who stands in her closet full of clothes and thinks "I have absolutely nothing to wear"? This is such a common occurrence for me it's almost scary. Even though I know I have plenty to choose from, sometimes I just don't want to wear anything I already own and too often I buy something, wear it a few times and then wonder why I even bothered to buy it. 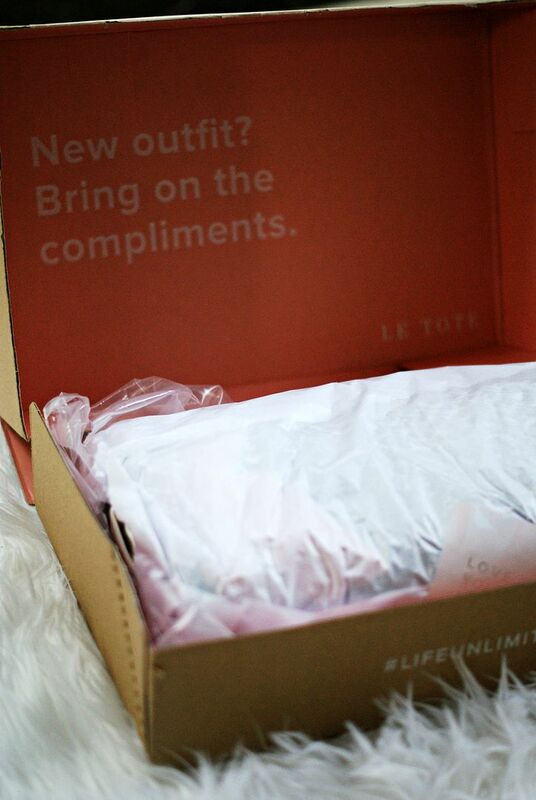 So when Le Tote contacted me about trying them out I definitely jumped at the opportunity! If you haven't heard of Le Tote, they consider themselves the "Netflix of fashion" which is fitting considering their business model. Le Tote is a monthly subscription box that allows it's members to "borrow" designer clothing and accessories for $59/month. Each box includes three articles of clothing and two accessory pieces from a variety of 150 different brands. One of the first things I loved about Le Tote is you set up your profile and then you can either let the stylist pick out things for you or you can customize each box with pieces you select. Ok, now let's talk about my experience thus far.After signing up and selecting my style profile I was given 48 hours to either accept the pieces they had picked out for me or "shop" for other pieces to replace anything. You can choose to replace one item or all five if you wish and once you've made your selection you can change your mind again within that 48 hours or select "finalize my box" and it will be on it's way! One of the things I was most impressed with about Le Tote was the shipping. From the time I "finalized my box" to the time it was waiting for me on my front porch was only two days, making it perfect for ensuring you have something to wear over the weekend. I kept my things for about a week but there is no real time limit on how long you can keep things so if you like something but aren't sure right away if you want to buy it you have the opportunity to wear it a few times before sending it back. 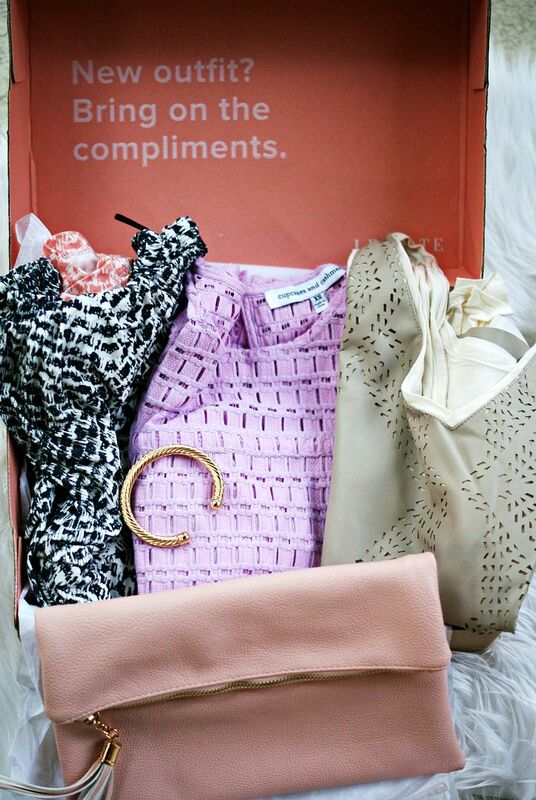 While I was trying out my box Le Tote sent me an e-mail letting me know one of the items in my box was on sale and to be completely honest, that was the deciding factor on whether I wanted to keep one of the dresses in my first box. The dress fit me perfectly and I loved the print and colors but when I heard I could keep my Sam Edelman dress for only $29, I knew it wasn't going to be returned! When it was time to send back the remaining items I didn't want to keep, you simply put everything into the pre-labeled bag and put it back in the mail. I was extremely surprised when later that day I got a text from a number I didn't recognize only to find out it was Le Tote texting me to let me know my box was in route back and my next box was preparing to ship out. If I wanted to switch any of the items in my box I had 48 hours to do so so I jumped online and ended swapping out everything they were planning on sending to me and hit "finalize my tote". My new tote was in the mail the next day and at my door 2 days later! Have you tried out Le Tote? They're offering my readers 20% off with the code: SEQUINS20 so check it out for yourself and let me know what you think! And stay tuned for my outfit posts from my Le Tote box! I have been wanting to order from them for so long now! I am obsessed with the pieces you got! So glad you like it! Now i need to try! I can't wait to see your pieces styled- they look fabulous! What a cool service! That is a really smart idea and I like the pieces in the sneak peak here especially that clutch and bracelet. Thanks for the brand introduction! Le Tote is so much fun! That sounds like a fun box to get! I love the idea of it! I always love hearing about new services like this and it sounds like a big timesaver! Quick shipping makes all the difference too! I think I've seen commercials on this....super, super neat! I like how they communicate well with the customer, that is key! I can't stand when companies take years to get back to you! Hope you have a great day! 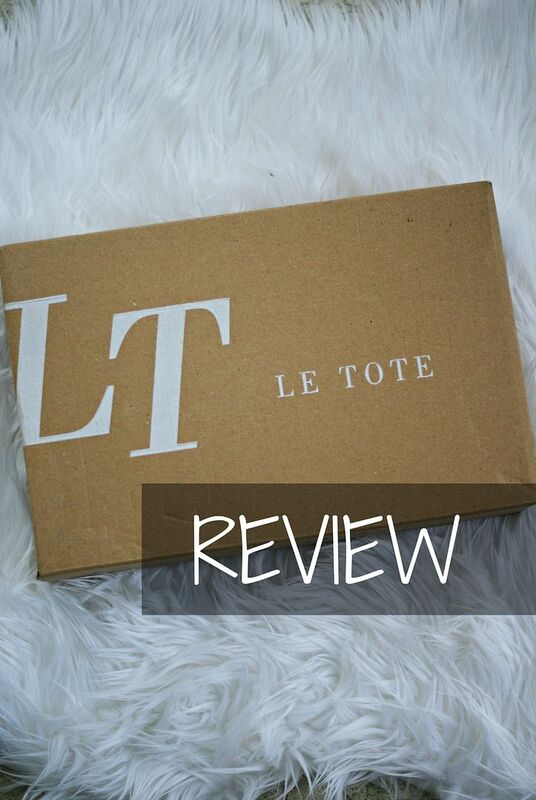 I have been really interested to read a review on Le Tote--this definitely sounds like it's my speed! $59 a month for all those awesome items is a great deal!! This is such a rad concept. i had heard of them but never really knew what it entailed. super fun! and I like how you can give them back and don't have to commit. can't wait to see the outfits/stuff you kept! I hadn't heard of this before... but it sounds pretty neat! I like that you get to decide what you want to have in your box instead of just whatever they choose to send you. Can't wait to see what you kept! I'm not familiar with this at all, but it sounds like such a fun concept. I like that they give you the option to swap things out in advance! I just love the concept of Le Tote. And what an awesome deal on that Sam Edelman dress. That blush clutch is so cute and the Cupcakes and Cashmere lilac color is just gorgeous! Looks like some very pretty pieces! Always nice to find new boxes out there! the Netflix of fashion - that is so brilliant. i love that you can choose your items.. and a dress for $29?! that sounds amazing. that purple thing in the middle (dress? top) looks super pretty! A great review! And what a great price for SE! Looks like you got some super cute pieces- maybe I should give it another shot!! How fun! I'm glad that you've had a good experience with them thus far. I just may finally try it out! I have never heard of this brand. What a great idea! I would love to rotate new things in and send them back. And what a great price point! Ive never heard of them but sounds great with good prices! What only $29! Keep it girl! hahahha! Gotta take a look at this box, sounds great! This is so awesome! Loving what they sent you! What a neat concept - I love this! All the pieces you received look so pretty! That sounds like such a fun idea! It almost seems like Rent The Runway, but on a bigger scale with less super fancy clothes. I also love that you can choose to buy some of the pieces if you want! I LOVE an organized, put together business...that sounds very Grandma of me to say but I feel like things like this-- when you're sending things back is great to have that constant update in communication. $29 is a steal and I love that you can finalize things. 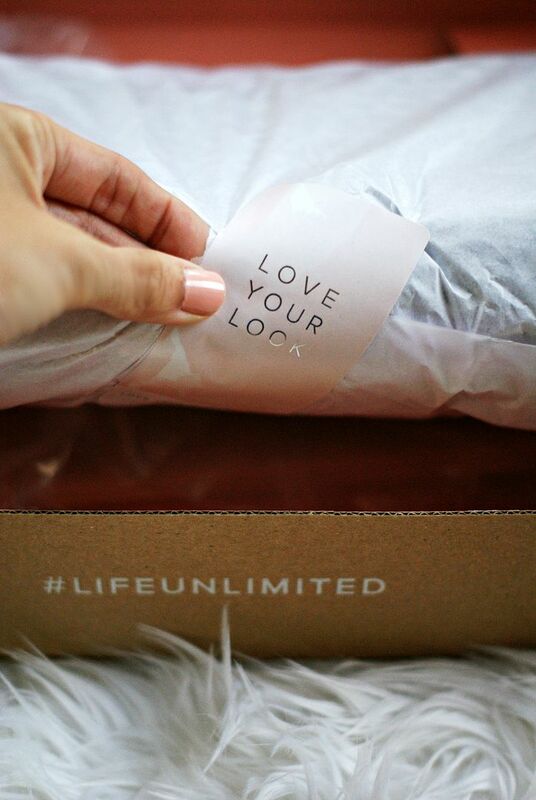 The price of the items to buy in Stitch Fix boxes and reviews always turned me off. This sounds like a great box! What a fun concept and perfect for fashionistas who always have fun events to go especially with the quick shipping. I do love the clutch they sent you, so cute with the tassel. So fun and all of the pieces they sent you look so pretty! I can't wait to see them on you! I feel like I find a lot of fun accessories...OR a really quality clothing piece, but then not always that work together. I think I may need to check out Le Tote - sounds like that would eliminate the stress for me!